This gothic inspired costume makes for a stylish and sophisticated alternative to the traditional Halloween vampire fancy dress costume. 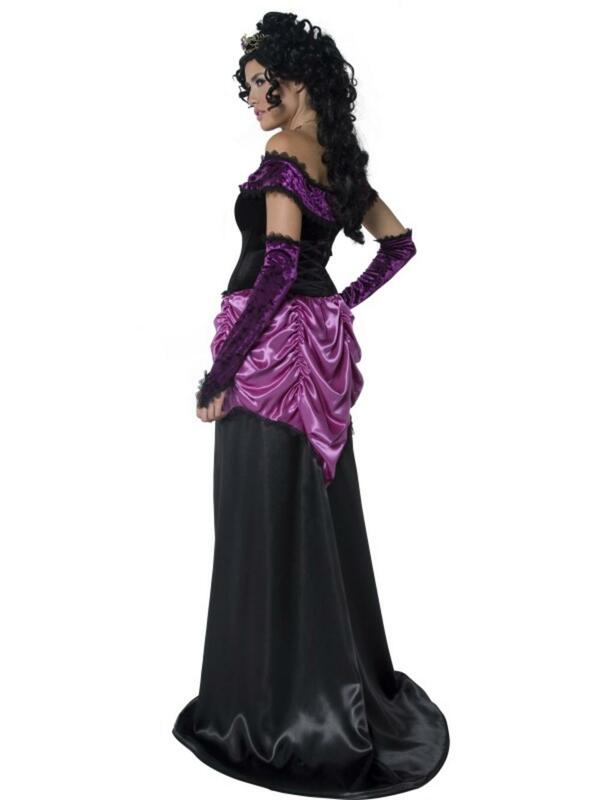 The beautiful costume includes a chic silk look black and purple dress decorated with intricate lace detailing to the chest and waist and purple ruffles to the waistband. 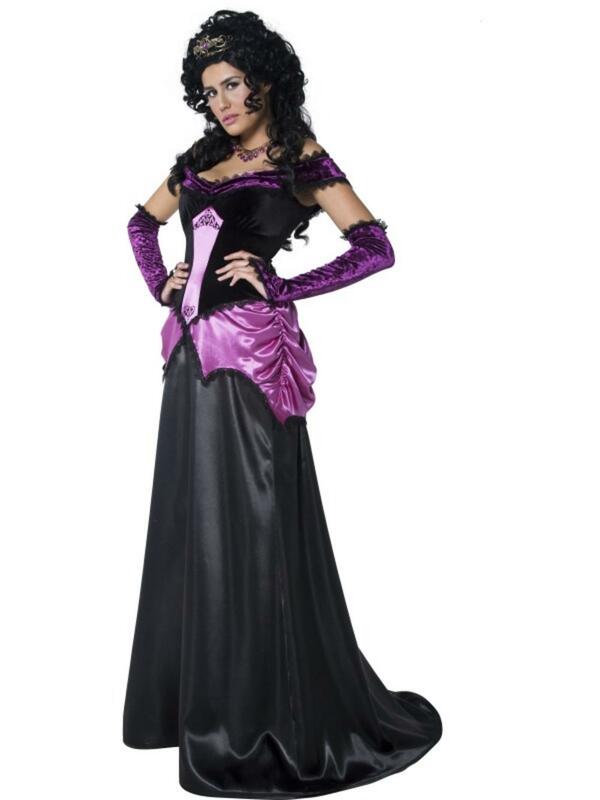 Completing this luxurious Halloween costume is a pair of purple gloves again decorated in beautiful black lace trim. 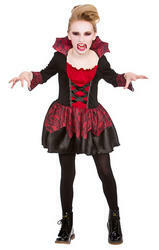 You'll be the most glamorous vampiress at any Halloween party when you wear this stylish costume.